Why use e-Court to solve your disputes ? e-Court aims to provide competent, affordable, transparent, secure and speedy justice for everyone. e-Court also provides an uniform litigation system throughout the USA, Canada and other countries without the need to understand the peculiarities existing in each area's legislative system. Labor disputes and other civil disputes between businesses and/or individuals can be submitted to a real Internet court. The new private court, which is called e-Court, guarantees ruling within six weeks after notification of the case. The verdict of e-Court is based on contract principles ( e.g. binding arbitration ). View also a legally binding verdict. e-Court cases take no more than six weeks (excluding any appeal of four weeks). This makes the process to cost much less than ordinary courts, which to obtain a ruling in the United States take on average between 70-90 weeks. 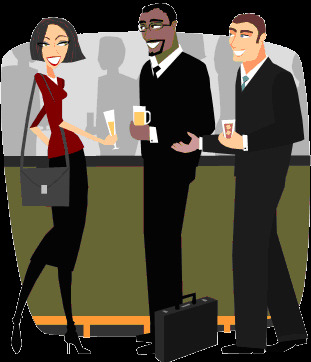 Moreover, private individuals and businesses agree upfront with their attorneys the maximum period in advance and total costs. This will ensure that e-Court does not result in financial surprises. enforcement of online dispute resolution outcomes, both through court proceedings and built-in enforcement mechanisms. This book also covers issues related to security and e-commerce in general. As a special feature, it contains a section on existing online dispute resolution providers, complete with interviews and statistics. Online Dispute Resolution: Challenges for Contemporary Justice is a significant resource for legal counsel, to arbitral institutions, ODR and ADR service providers, governments and governmental and non-governmental organizations, as well as to those with a more academic interest. 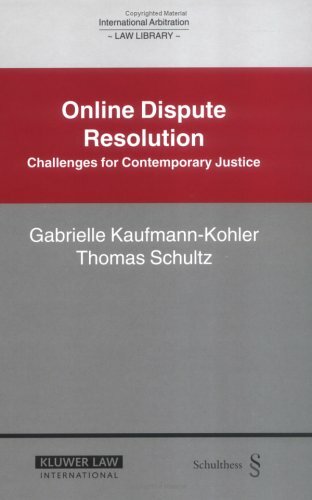 This book will provide a greater understanding of online dispute resolution to persons in the fields of arbitration and ADR, e-commerce, intellectual property, civil procedure, international law, international trade and commerce, and information technology.